Our proposed dates are August 20-23, 2020. Our proposed facilities are the Hyatt Regency Hotel and Convention Center in Columbus, Ohio. 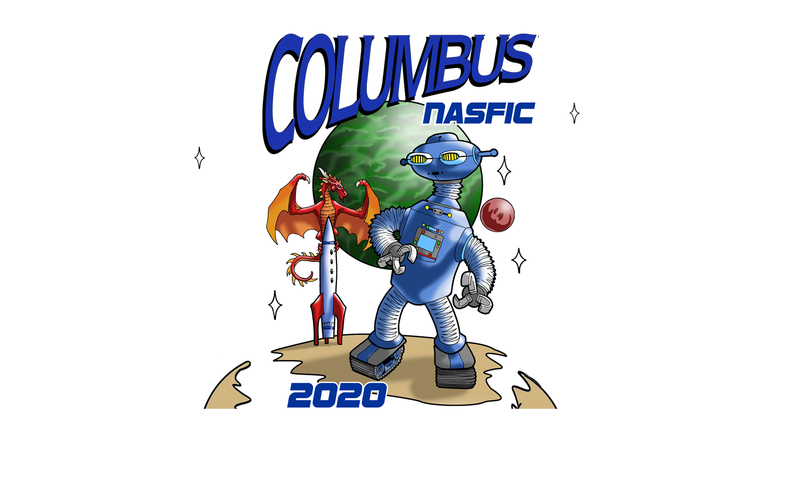 What is Worldcon or NASFiC exactly? How are they related? The World Science Fiction Convention (Worldcon) is an annual convention held since 1939 (skipping 1942-1945), which gathers fans (and pros) from around the world. Worldcon is also where members vote for the Hugo awards. Worldcon 75 (2017) was held in Helsinki, Finland. Worldcon 77 (2019) will be in Dublin, Ireland. Whenever Worldcon is held off of North America, a North American Science Fiction Convention (NASFiC), is optionally held as well. The NASFiC is an alternative for fans who can’t make it to Worldcon overseas. The location of the NASFiC is determined by members of a Worldcon (or NASFiC) through a voting process. NASFiC 2017 was held in San Juan, Puerto Rico, and Layton, Utah will host the NASFiC in 2019. See www.spikecon.org for more information. Worldcon 78 (2020) willl be held in Wellington, New Zealand. Visit https://conzealand.nz for details. To invite the world to experience Columbus, Ohio. Columbus, Ohio is home to many events that celebrates and highlights interests fans enjoy. There are events that highlight anime, gaming, literature, art, comics, pop culture and media over the course of the year. Columbus hosted the World Fantasy Convention in 2010 and 2016. We feel that the city is ready for a NASFiC and consider it a unique opportunity to gather the genres in one place and throw a big party to celebrate the many facets of fandom. 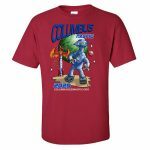 Order a bid shirt from Off World Designs. Here is the link. Order Here! 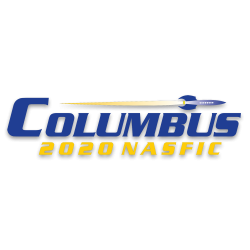 Columbus 2020 NASFiC is supported by SOLAE, a non-profit volunteer corporation located in Columbus, Ohio. “World Science Fiction Society”, “WSFS”, “World Science Fiction Convention”, “Worldcon”; “NASFiC”; “Hugo Award”; the Hugo Award Logo, and the distinctive design of the Hugo Award Rocket are service marks of the World Science Fiction Society, an unincorporated literary society. You can contact the WSFS Mark Protection Committee at mpc@wsfs.org for more details. Logo and Landing Page Art courtesy of Ray Van Tilberg.